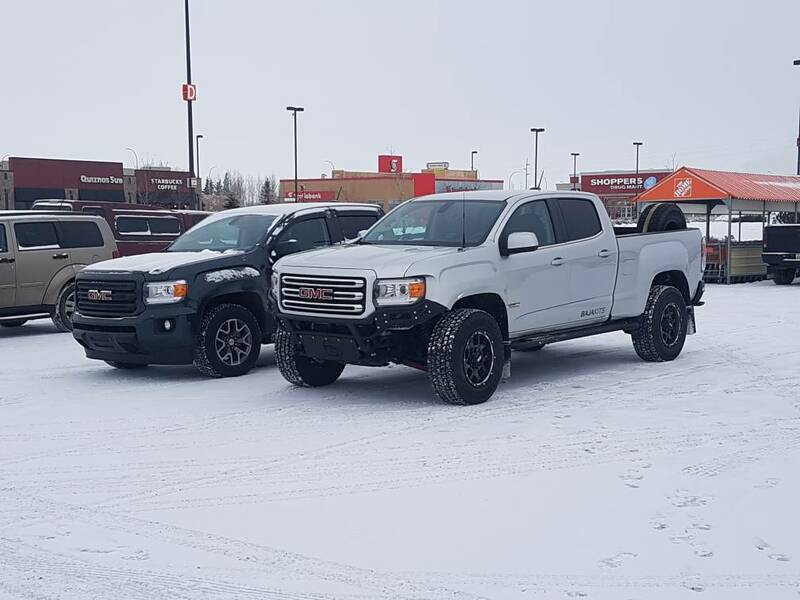 Was out shopping around a bit today and found a stock all terrain canyon. I forgot how low mine was in the front when I started this. Love the low stance. great job, looks fantastic. The truck needs new uniballs, one of the lowers has the teflon slowly being pushed out of them. Time to start shopping for replacements. Do you have any more info on the custom kickback mudflaps you have? 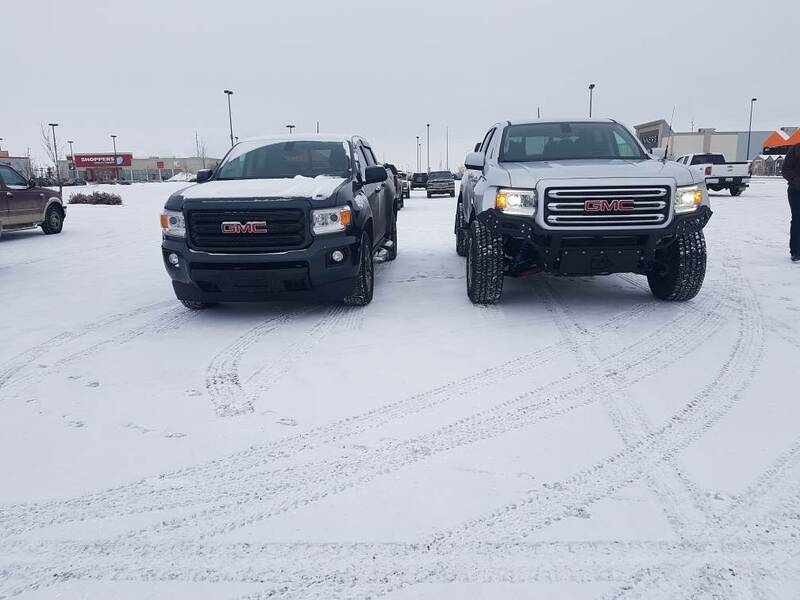 They are from a company in Lloydminster. Fivestar Auto Accessories. They are mainly a welding/fab shop, the owner just likes modified vehicles too lol. Will the Icon Delta joints fit in those arms? I was watching Lifestyle Overland last night and his uniballs are failing in his Icon UCAs so he's swapping them out to Delta units. Different applications for sure but his 4Runner takes some abuse on severely potholed road. can you use Icon UCAs with delta joint with the baja kits lower? Maintenance alot easier as all is need is too grease it,they are sealed and have just as much angle as uni-balls,,if nit more. Dam beat me to it!! Looks like the Powdercoating process was good,,they might have missed a step or not cleaned them very well. Sorry to see they look like that after a yr or soo. From what I can tell the uniballs are different between the Icon UCA and the Bajakits. 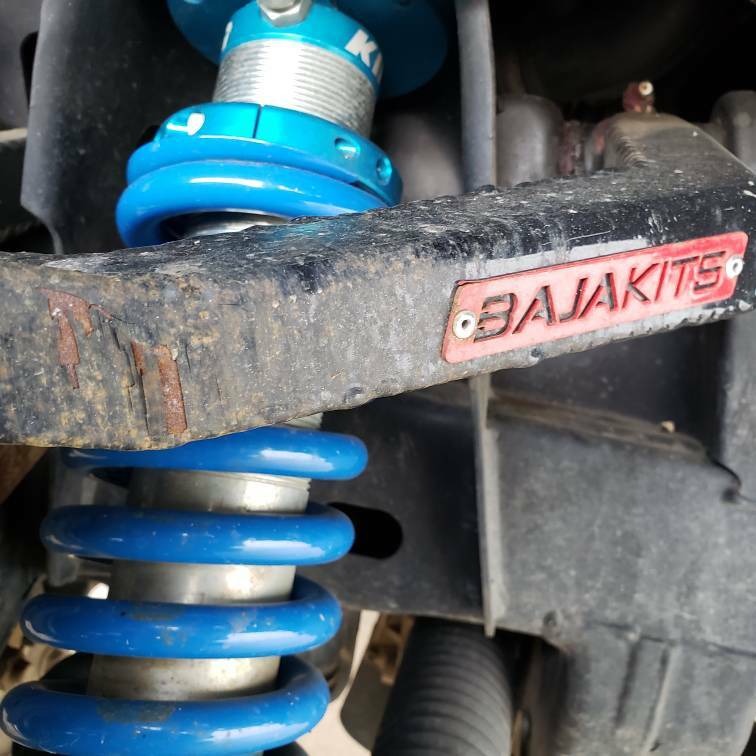 Bajakits uses a HIN16TA, a 440 stainless ball with a teflon sleeve in it and the complete unit is 2-1/8" in diameter. Icon uses COMH16T which is chrome plated carbon steel and only 2" diameter. With that said, the Delta-joints are not interchangeable unless you want to have a machine shop potentially fabricate an adapter sleeve? Not sure what to think about the idea of having 2 c-clips holding in the joint, one in the control arm and one in the adapter sleeve. Uniball to uniball, I would think the HIN16TA is better, for our Canadian winter environment anyways. I tried to get some dimensional drawings from Icon on different delta joints they have for larger vehicles, thinking perhaps they will have a larger outside diameter. As I figured they were not willing to share that info. So I measured the tapers on the stock upper and lower ball joints on our control arms and sent them that info, if they could at least confirm if they have something with the same taper or not... they replied with a hard "no". FYI, the taper on the stock lower ball joints in our trucks are larger than the taper on the stock Raptor lower ball joints haha. I find this info odd because the Raptor is promoted way more as an off-road capable truck compared to ours. The fat part and skinny part of the tapers are larger in our trucks, and the length of it is also longer in our trucks. With a longer/fatter slope I would think that it would be stronger. For now I have ordered new replacement HIN16TA joints. Also ordered up some travel limiting straps and I plan on installing them at the same time. While it is apart I will take some measurements of the misalignment spacers and bolt and make some 3d printed copies. With those copies and worn out uniballs I want to send them to www.emfballjoints.com. They are a Canadian business (almost local to me) so that they can build a set of rebuildable joints. A few of my coworkers have their joints in their Dodges and they are happy with them versus their stock ones. Prices are way more reasonable compared to the Icon Delta-joints too. I hope they can have something ready by the next time I need replacements.